Mid July my publisher PDMI Publishing LLC announced that it was closing its doors. 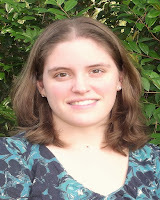 I had been with PDMI Publishing for almost four years, so the news came as quite a shock. All rights were to be released back to their respective authors. As it typically happens when a publisher closes, the authors are all left to figure out what their future holds; find a new publisher or go self-published. There are inherent downsides to being with a traditional publisher, one is you don’t always have access to the digital files of your book to just give out to reviewers left and right. Second, if you want to try something new, like produce an audio book, you have to make sure you check with your publisher because often times your contract reserves those rights for your publisher. But say you keep those rights, running an audiobook without your publisher’s blessing could serve to tarnish your book’s branding as well. The upside to being with a traditional publisher, you write the book and then later help with marketing. The publisher will have editors, cover designers, layout artists, and sometimes even a marketing team to help make your book sell. Because your book has to go through all these people, many publishers have a limit on how often they will release a new book from you. Depending on your marketing strategy, this could be a good thing or a bad thing. I knew that it would be difficult but not impossible to find a publisher that would be willing to take on a book that had already been released twice. You see, I started off in the world of self-publishing before PDMI picked up my books. I knew I also wanted to do paperback, ebook, hard back, and audiobook editions of my book. As smaller publishers don’t have the time or the resources to do all of that for each of their authors, I leaned more towards going the self-published route once more. In order to keep from infringing on the cover artist, and the layout designer’s work, this meant I needed all new layouts, and covers for my book. Having a new cover also helps readers find the new edition instead of tripping over the edition that is no longer available. I treated this new edition release as though I would any other release with guest blog posts, cover reveals, and interviews, just in a bit more subdued manner. I’m not going to stress about scheduling every day of the month with a tour spot, but I did want to get the word out there. I also joined instafreebie and started a newsletter. For Self Published Authors, you make the decisions. Sink or swim, your book relies on you and you alone. You could give away all your books for free if you want because now you don’t have to worry about a publisher needing their cut of the profits. Go produce that audio… just make sure the producer does a good job! You find the editor, and cover designer… and pay them. You are typically doing all the marketing. But now you have all the freedom in the world to do what you want with your book. The only thing you have to worry about now is if people will buy it! The biggest downside to being self-published is navigating how to upload your book onto all the different types of self-published sites out there, Createspace, Lulu, Nook Press, KDP are the main ones that distribute directly to their respective online retailers. They each have their own requirements and specifications. They each have their own peculiarities that can make the process a bit frustrating at times, but rewarding when you finally get it right! Am I happy with my decision? Sure! I love my new cover and am thrilled to be able to offer a large print and hardback edition of my book! Do I miss being traditionally published? Sort of. I do miss being able to SAY that I have a publisher backing my books. I miss knowing that everything to get my book published is being taken care of and all I have to do is approve the final copy. Being self-published is a LOT of work and certainly not for the faint of heart. Somewhere amongst all of this I still have to find the time to go to school and finish going through the edits on my next book! To make a long story short, know what you are getting into before making your decision as to whether to go with a traditional publisher or self-publish. I choose self-publishing this time around because it works for me. I can re-release my back list and move on. I don’t have to worry about rebranding my books again when yet another publisher closes because… I am my own publisher. I do have to do all the work though. The next book I write, who knows, I may change my mind. Until then you can now find my book in paperback, hardback, large print, and kindle. 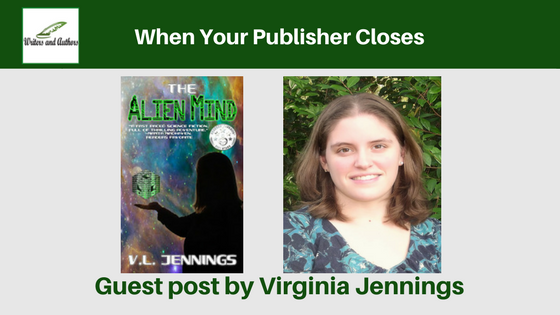 Links to all these editions can be found here: http://www.virginialorijennings.com/p/the-alien-mind.html While you are at it, feel free to leave me any questions you might have in the comments here at Writers and Authors! I’d be happy to hear from you! When V.L. 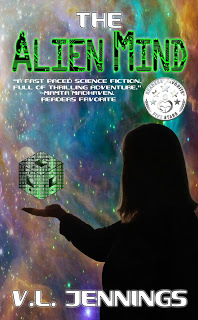 Jennings isn't traveling to other worlds through her imagination, she calls Dillon, South Carolina her home. She is the author of science fiction novels "The Alien Mind" (recipient of the Readers Favorite Five Star Review Award), and "Visionary From The Stars". I'm in the same boat. My publisher just closed this year. I do have the digital file but I want to still go with a traditional publisher. Any ones you know of that will take on a book that's already been published?